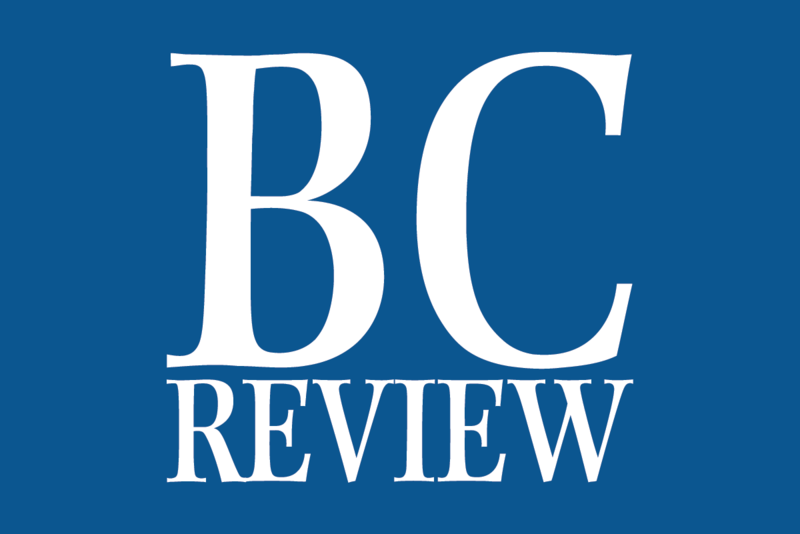 (Hali Bernstein Saylor/Boulder City Review) Anheuser-Busch brought a team of eight Clydesdales and a dalmatian to Boulder City on Sunday, March 24, 2019, as a way to thank the community for its support. Hundreds of people came out to see them in the parking lot in front of Medolac. 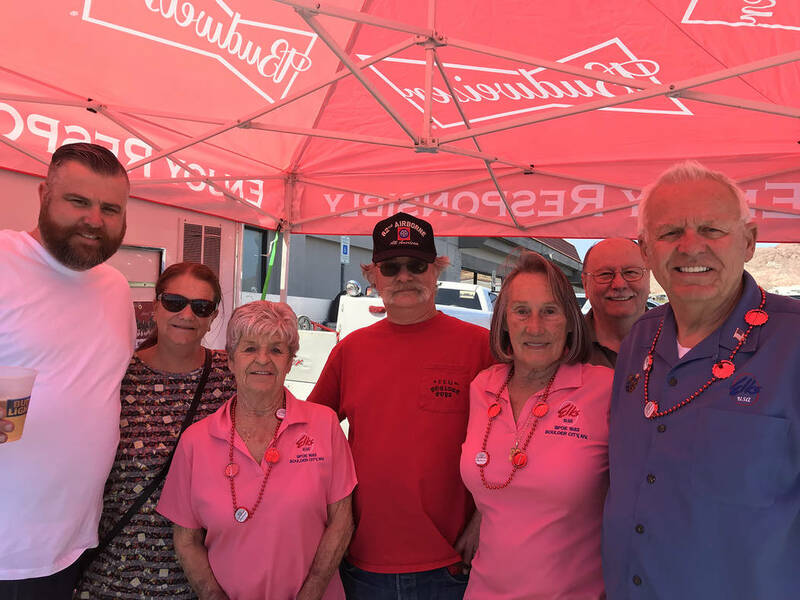 (Hali Bernstein Saylor/Boulder City Review) Members of Elks Lodge 1652 manned a beer booth when the Budweiser Clydesdales visited Boulder City on Sunday, March 24, 2019. Among those helping out were, from left, Travis McComb, incoming exalted ruler; Liz Maring, Carol Barrett, Tim Murray, Karen Murray, past exalted ruler and leading knight; Mike Parsons, past exalted ruler; and Tom Perkins, treasurer. 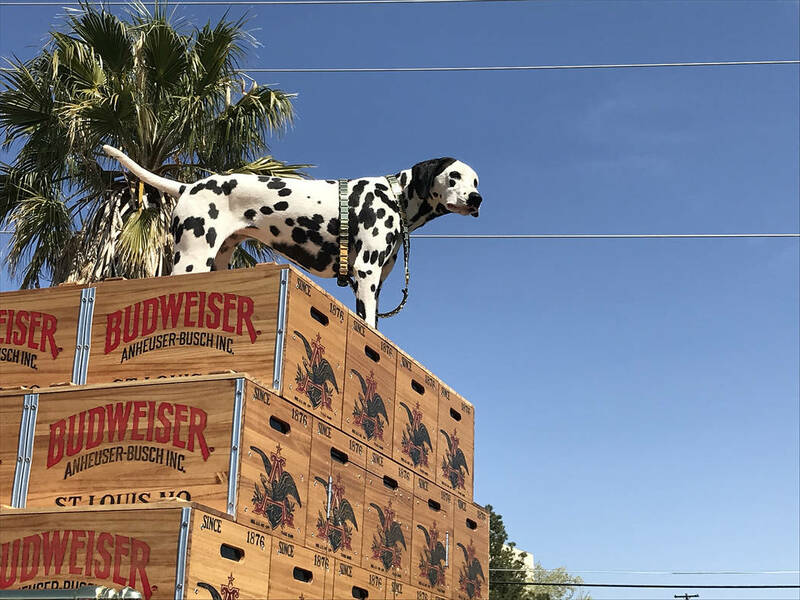 (Hali Bernstein Saylor/Boulder City Review) Anheuser-Busch brought along its dalmatian mascot when the hitch team visited Boulder City on Sunday, March 24, 2019. 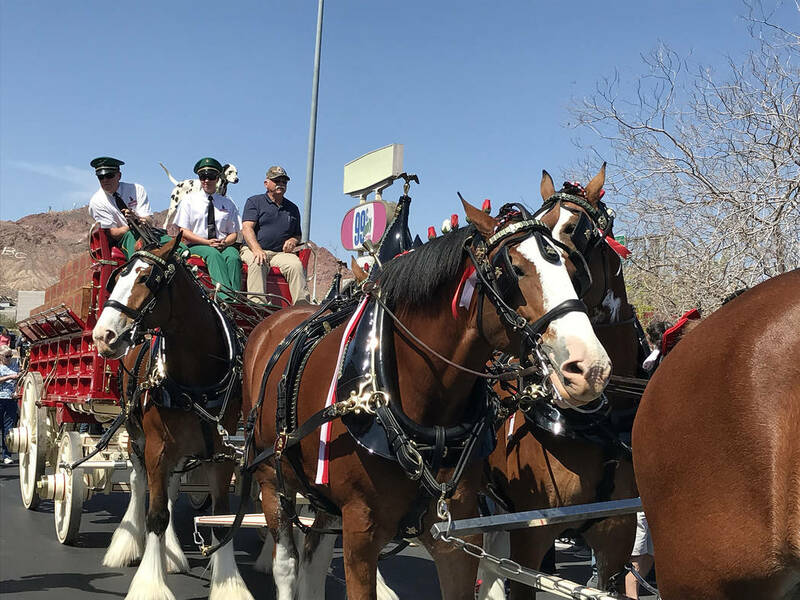 Anheuser-Busch brought a team of eight Clydesdales and a Dalmatian on Sunday to Boulder City, March 24, as a way to thank the community for its support. Hundreds of people came out to see them in the parking lot in front of Medolac. Additional pictures on page 12. Members of Elks Lodge 1652 manned a beer booth when the Budweiser Clydesdales visited Boulder City on Sunday, March 24 on Sunday. Among those helping out were, from left, Travis McComb, incoming exalted ruler; Liz Maring, Carol Barrett, Tim Murray, Karen Murray, past exalted ruler and leading knight; Mike Parsons, past exalted ruler; and Tom Perkins, treasurer. Anheuser-Busch brought along its Dalmatian mascot on Sunday when the hitch team visited Boulder City, March 24.